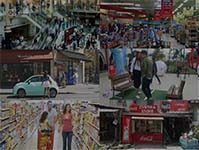 Our Solutions | 11 FTC Enterprise Inc. The KitKat bench designs were part of a special project for a brand awareness campaign. What started as just one of the many interesting requirements we received at the time turned out to be among our classic masterpieces now. With the intent to bring to life the brand’s tagline of “Have a break. Have a KitKat.” and through a collaboration with the brand, we thought of both a practical and creative imagery. Capturing the idea of a break and the look of a KitKat bar, an association with the classic wooden outdoor bench came about, thus the making of an oversized KitKat bar wooden bench that’s now distributed across the metro. The design delivered the client’s requirement of a playful, current and engaging representation of the brand in the different trade channels. To date, the primary KitKat bench continues to evolve into several other concepts within the idea of a “break time”. 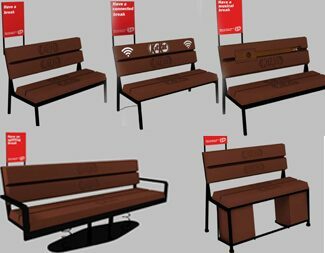 There’s just a KitKat bench for all types of break preferences, from a more fun type (seesaw bench) to one that uses technology (bench with wifi) and one that features different personalities (soccer bench for sports, bench with musical instruments and bench with board games) among many others. Still being used indoor and outdoor in some of the most popular trade channels, as well as featured in commercials and other online videos, the KitKat bench remains to be a reminder for us of a delivered good idea and this continues to inspire us to stay creative, reliable and strategic in our concepts and fabrication. 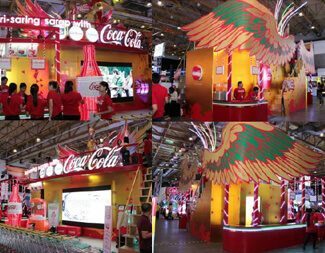 The Coca Cola booth design in Tindahan ni Aling Puring Convention 2016 came to us in a very straightforward brief. They chose Sarimanok to deliver the event’s overall theme of providing a nationalistic vibe. Their general objective was to have a booth that would connect them to their market and one that had a unique look. In answer to this, the design objective was to capture the majestic look of the mythical bird, Sarimanok. The effect was a standout. Everything was well put together from the well-thought-out layout to the applied rich colors, used appropriate mix of materials, lighting that added to the dramatic look and the observed dominant branding, along with a fun feel and all other key things the brand considered at the time. It was a crowd drawer. Placing the Sarimanok atop the booth projected grandeur. It was visible and attractive from different vantage points. To the brand, it was big, impressive and effective. And to the retailer, it deserved The People’s Choice Award, along with two other awards (2nd Runner Up for Best Booth Concept and 1st Runner Up for Best Booth Display). 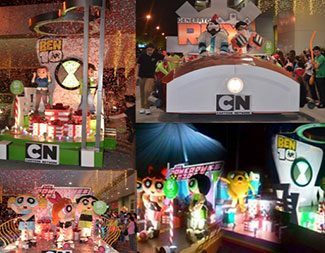 To complement SM Pampanga’s holiday program, the project was to provide 6 designs of floats capturing the different considerations of SM and Global Brands handling Cartoon Network. The checklist covered the design elements, delicate branding, creative execution, technical realization and project investment. During the design process, the artist had to be in character to be able to meet the primary creative requirement of sustaining the realistic feel of the show, thus using actual scenes and elements of the series as the main reference for the float setting. These details were married to the visual communication of the availability of the cartoon’s merchandise in-store set in a holiday mood. The same attention to details had to be applied to the fabrication to ensure a smooth roll out especially given a manual mobile outdoor execution.